133859592 -The community/population health/public health nurse is charged with promoting the health of populations, not only the individuals within populations. This requires advocacy on the part of the nurse, for entire communities as well as for the individuals within. 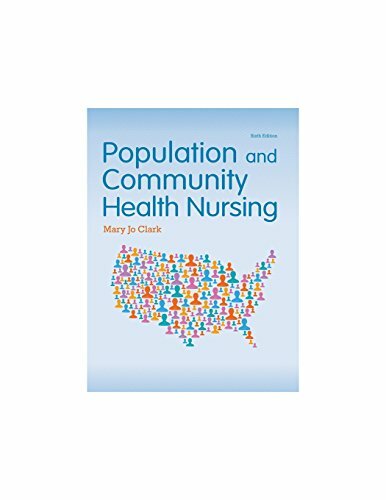 The long-awaited sixth edition of Population-based & Community Health Nursingby respected leader and educator Mary Jo Clark has been thoroughly updated with an even stronger population-based nursing approach. Population-based & Community Health Nursing, 6e continues to approach population-based/community health nursing from an aggregate perspective, clearly showing how nurses can serve to improve the health of populations within a community byfunctioning as advocates on many levels. To illustrate how that can be manifested, real-life vignettes begin every chapter, showing students what advocacy looks like in the public health context. In each chapter, clinical reasoning exercises are woven throughout in boxed features.